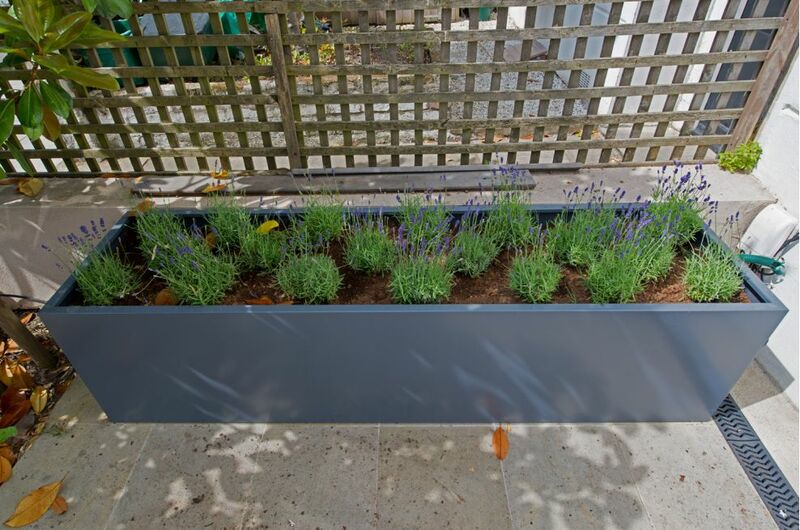 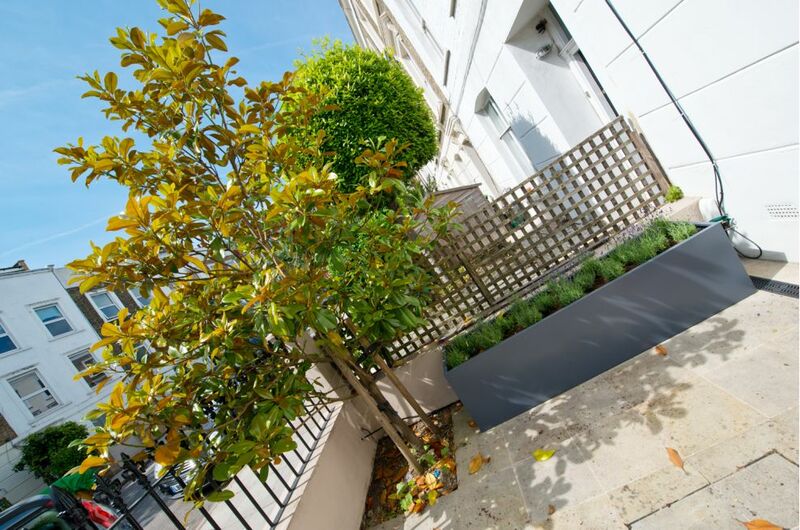 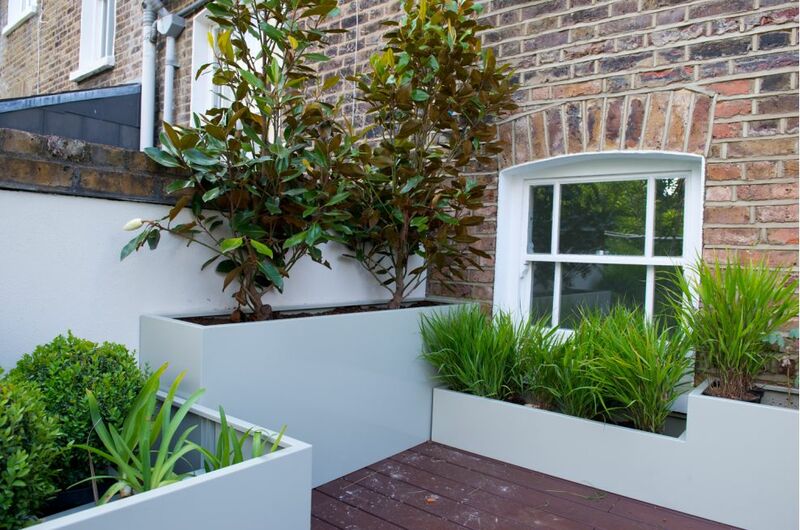 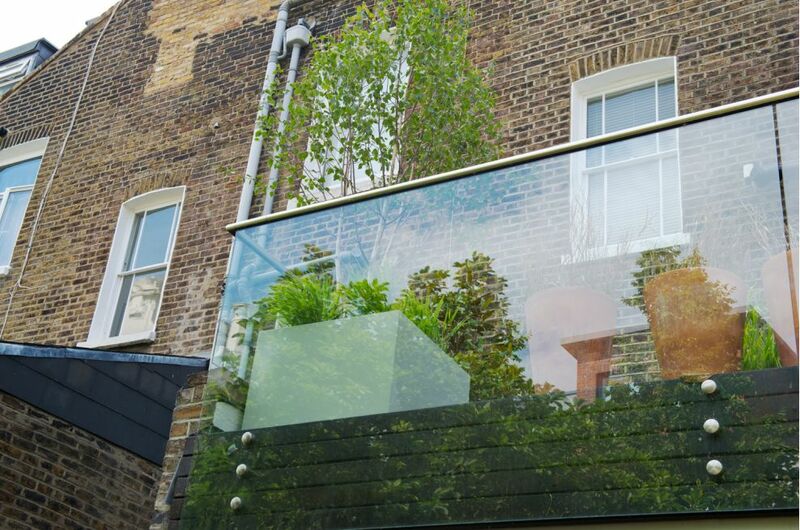 A series of bespoke steel planter modules were commissioned for a small residential terrace in North London, in a scheme designed to create a green, intimate and inviting garden space despite the physical constraints. 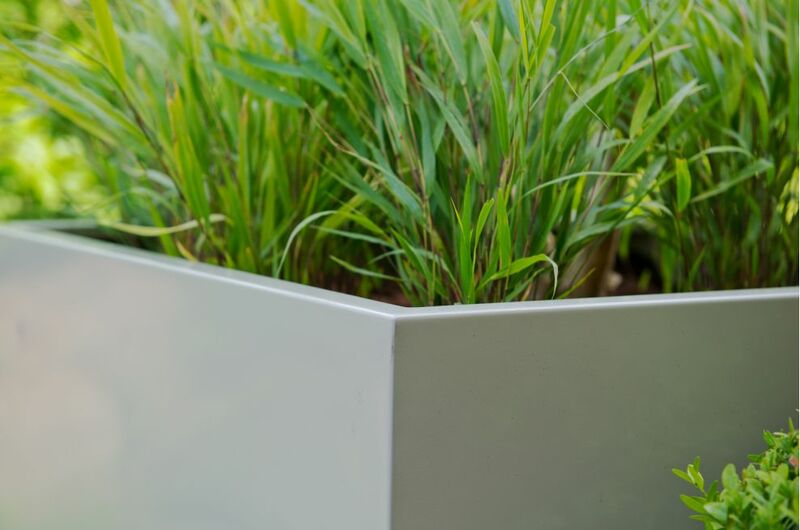 Five modules in total were fabricated, of maximum width / height 800mm, and of lengths from 900 to 1550mm. 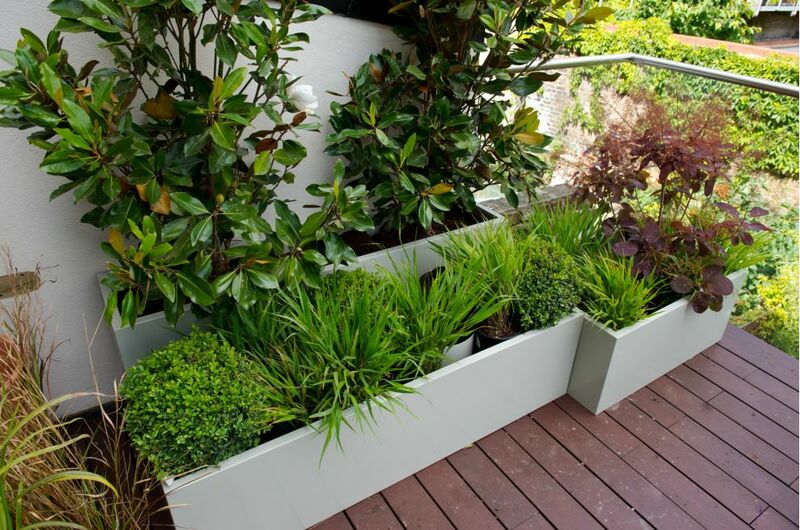 Three of the planters were stepped, to create a change in height along the run of the planter; and one of the planters incorporated a cylindrical cowl to isolate an air vent passing through the base of the planter. 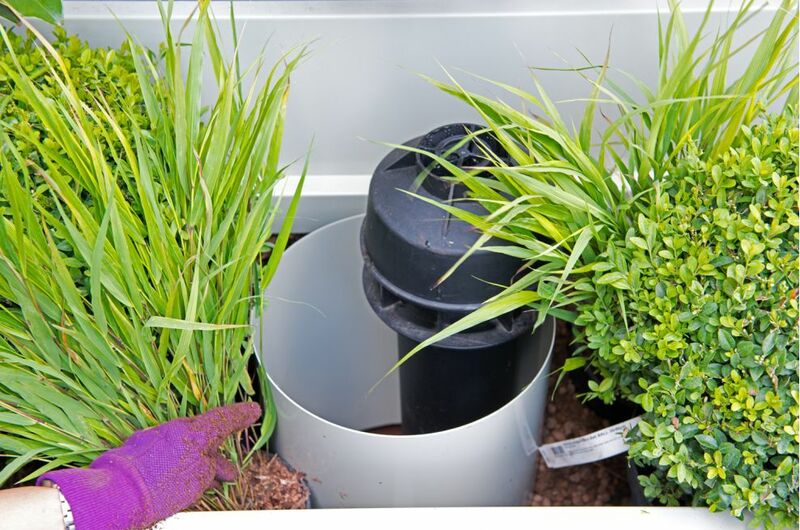 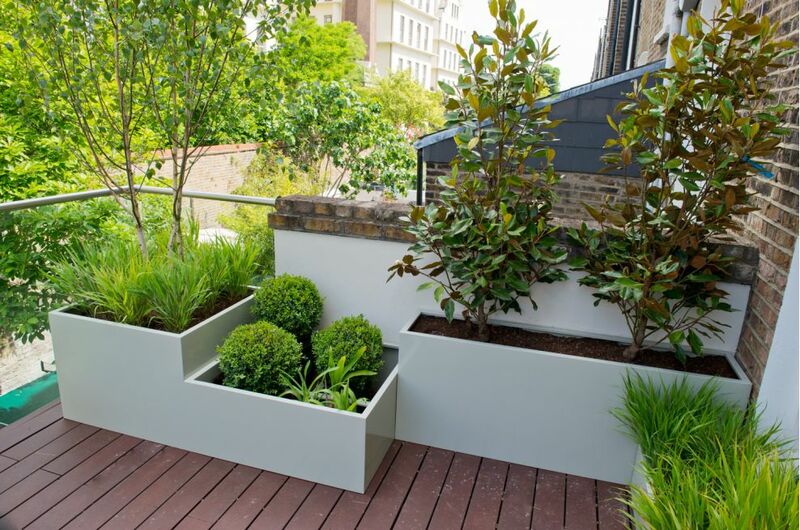 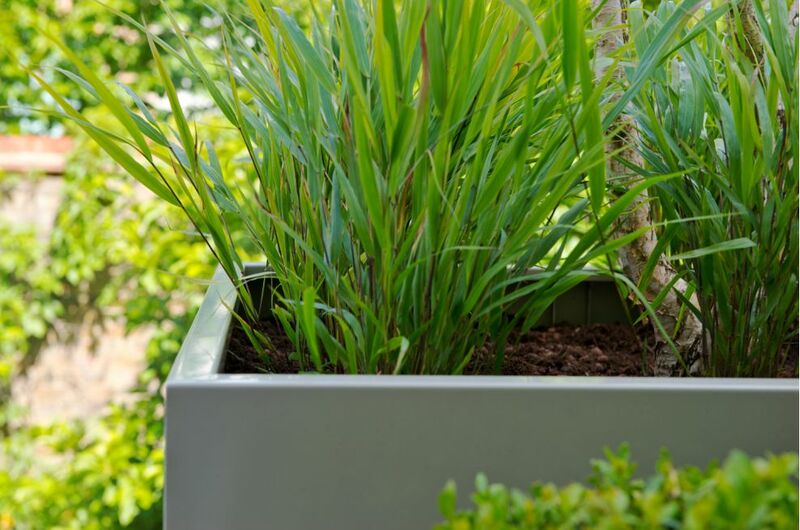 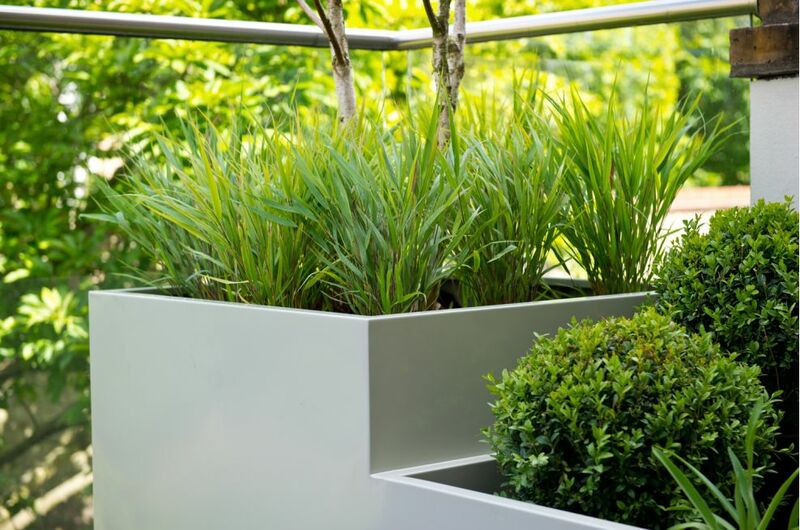 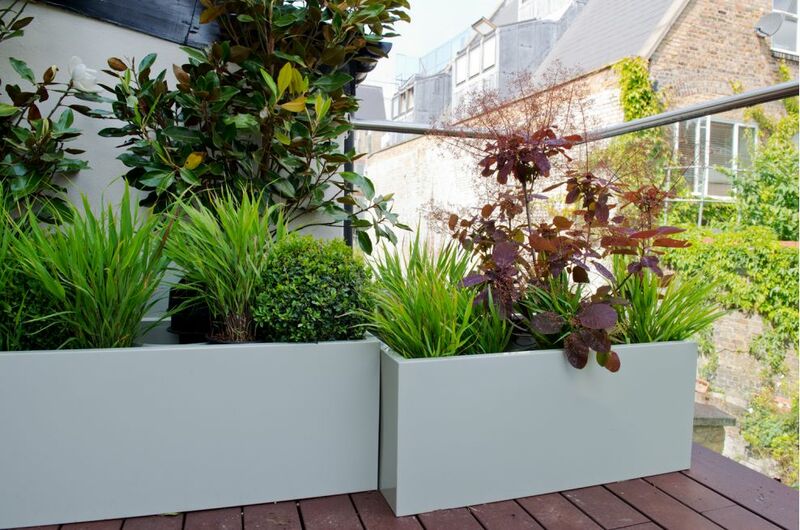 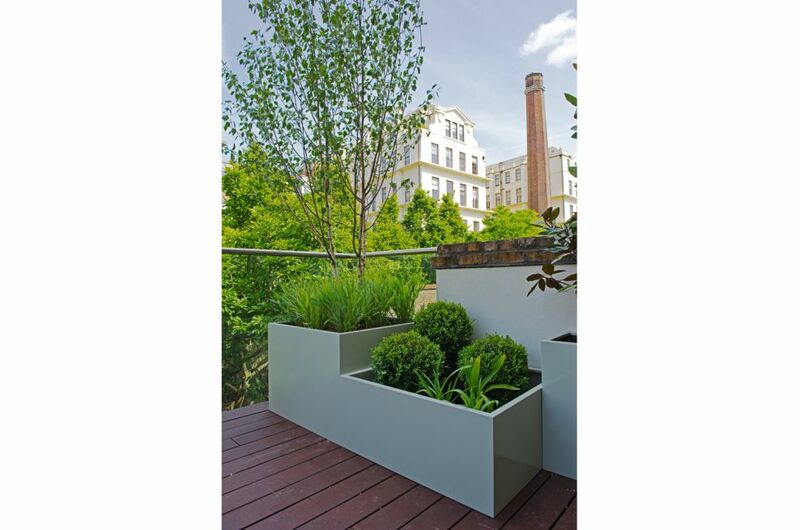 The planter modules were manufactured from 1.5mm Zintec steel, polyester powder coated to RAL 7032 [Pebble grey]. 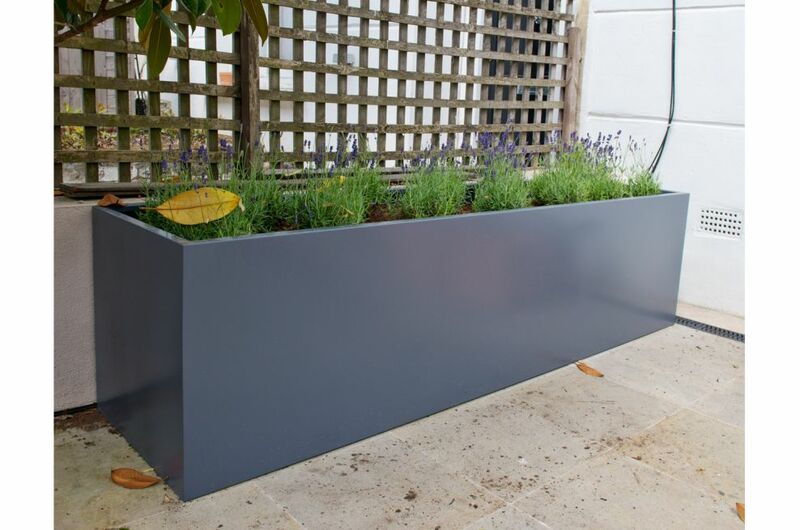 A further planter L 2100 x W 550 x H 550mm in RAL 7015 [Slate grey] was supplied for a small paved area at the front of the house. 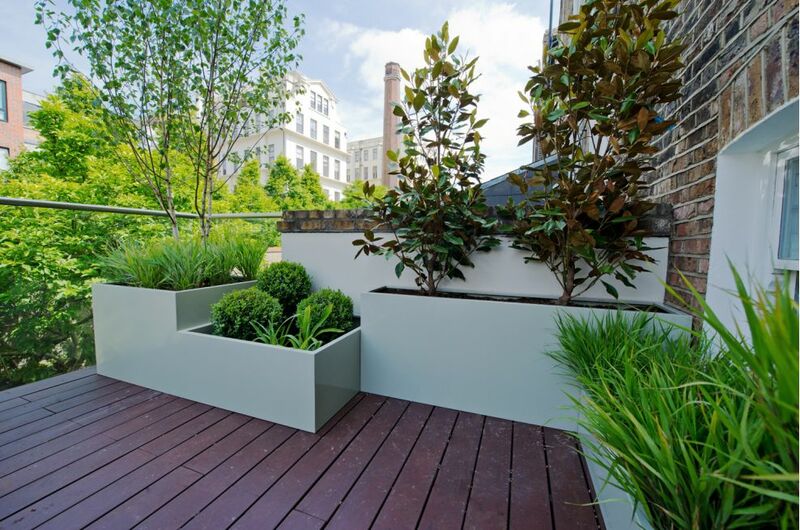 The scheme was designed and specified by garden designer and gardening author, Alex Mitchell.